This visualization ran as a full page in the June 2008 issue of WIRED. To celebrate its anniversary, in 2008 WIRED Magazine commissioned us to create a visualization of its history and culture. 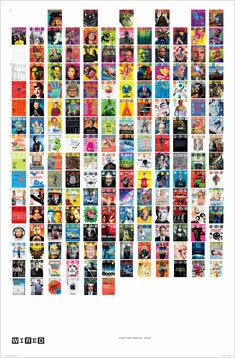 We immediately thought of the bold colors the magazine is famous for, and created a visualization of every palette used in 15 years of cover art. 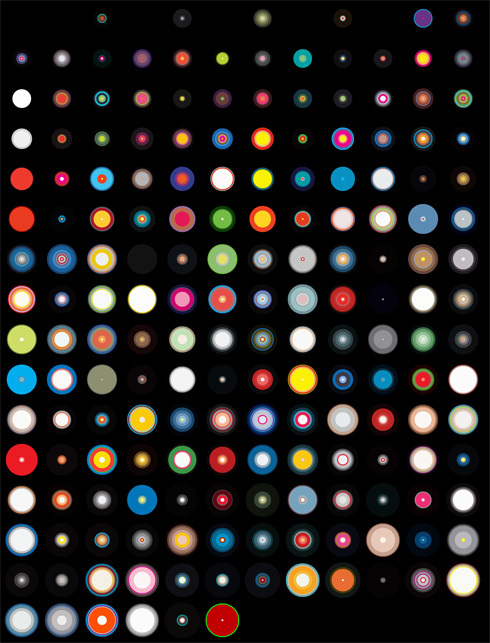 The piece depicts every magazine issue before June 2008 in chronological order, with each circle displaying the main colors of the cover it represents. To create the image, we used a custom algorithm designed to extract "peak" colors from any image. Our algorithm can be applied to any image; we have subsequently used it in other projects, including Flickr Flow. In print the image ran with a silver background. Wired also created a two-sided poster from this piece, showing the circles on the front and the actual covers on the back.